Please ensure that all images are accessible for users with disabilities by filling out Alt Text on every image you add to your site. When adding a file to a Page, Content Type or post, the Media Library popup will give you two tab options. 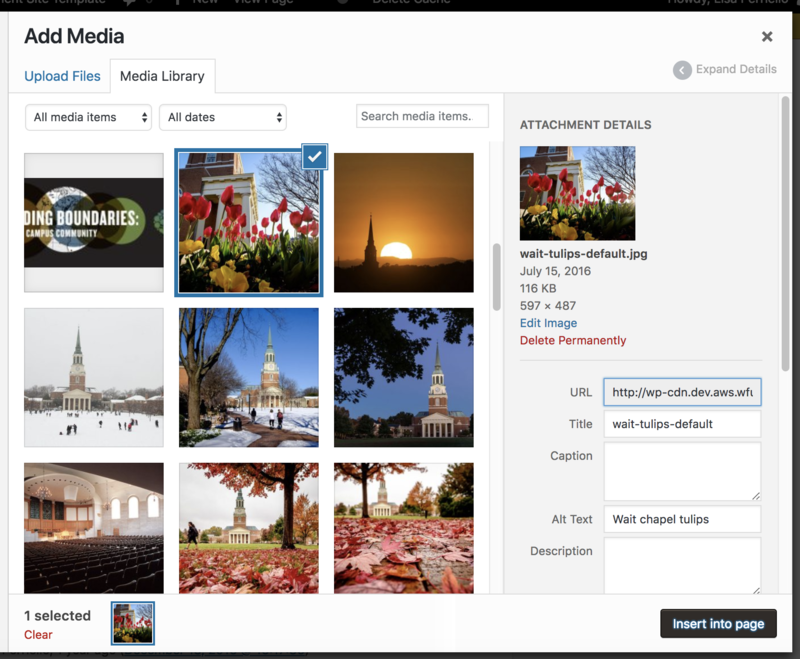 You can choose between Upload Files to add a new file, or Media Library to choose an image that has already been uploaded to your website. 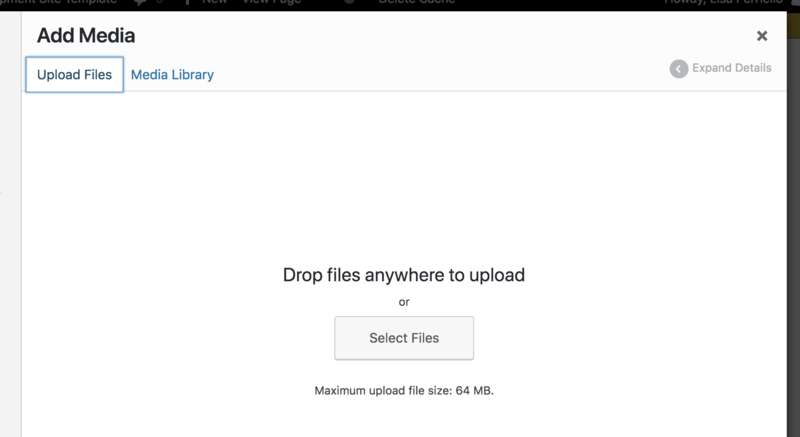 If you’d like to upload a new file, choose the Upload Files tab and you’ll be able to drag and drop your image into the interface. You can also click the Select Files button to find the file on your computer. If the file you’d like to use already exists on your website, you can choose the Media Library tab and select your image. 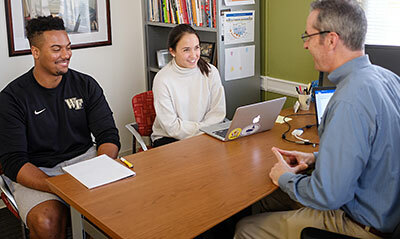 Once you’ve uploaded or selected your file, there will be options you’ll need to review before clicking Insert into page. 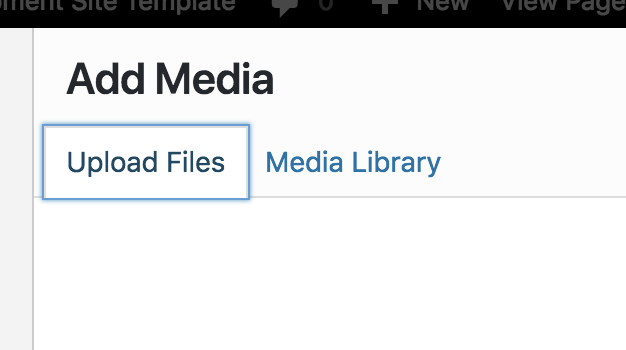 You can also add all of your files at once, directly to your Media Library, before you begin working on your page content. 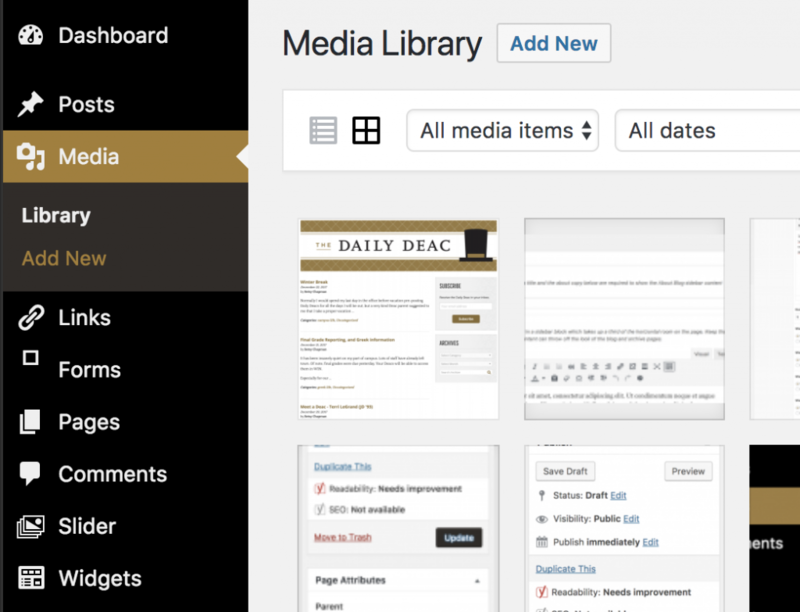 You’ll navigate to Media > Add New in the WordPress dashboard, then drag and drop all your images into the dotted area, or use the Select Files button to locate the files on your computer.